This is the LXDE Community Edition for Linux Mint 8, codename Helena. This edition was built to provide a full featured and familiar desktop experience with low system resource usage suitable for those wanting lots of speed, or for those using older hardware. 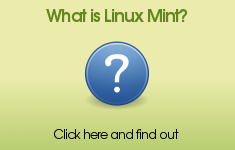 Linux Mint 8 Helena LXDE Edition is based on Linux Mint 8 Main Edition, using Linux 2.6.31, PCManFM 0.5.2, and LXDE as the desktop environment. For a list of new features read: What's new in Helena LXDE? To change the wallpaper, right-click on the desktop, and select "Desktop Settings". Always make sure the MD5sum is correct. Always burn at the lowest speed possible. The default keyboard layout you select when installing the system will remain for the login manager regardless of how you set it up in the "Simple Keyboard" option in the "Preferences" submenu. After logging in, the layout will be restored to the user's preferences but the login manager will retain the default layout regardless of how each individual user sets up their session. The process that is responsible for loading the wallpaper is the same process that controls the file manager. In order to reload the wallpaper correctly after changing the screen resolution, this process must be stopped and restarted. As a result, changing the screen resolution will kill any open instances of the file manager. Due to software limitations, there is no "autoplay" option for CD's and DVD's. These will have to be run manually in the Exaile Music Player and the Movie Player respectively. In addition, some file systems are not automatically mounted but this can easily be done by right clicking the file system in the file manager and selecting the "Mount Volume" option. The file manager does not support Trash, as a result files are permanently deleted and are not recoverable.